She lives in solitary confinement, in a tiny cell in Shanghai, China. YES, I want to protect animals from abuse by supporting critical investigations to expose and end cruelty wherever it occurs. 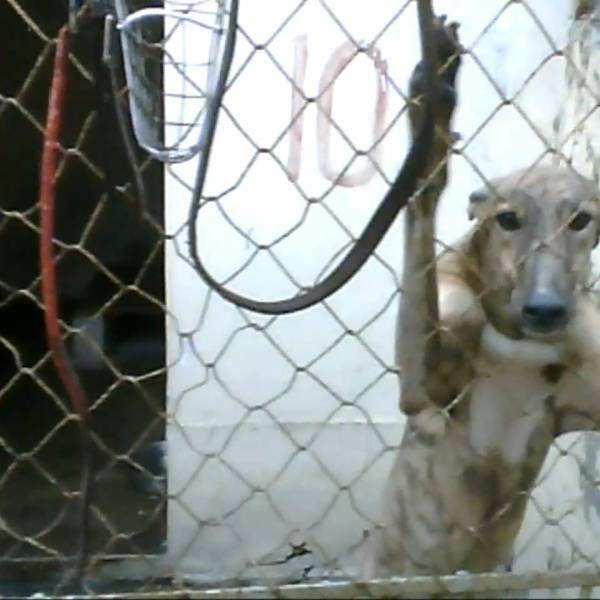 'Alice' is another secret the greyhound industry wanted to keep hidden. But we found her. Every day she waits for her turn to race and when she does, the risk of injury is high — on a dangerous track where wild animals like cheetahs are also forced to run for their lives. Locals tell of injured dogs being fed to predators at this zoo in Shanghai, which countless Australian greyhounds now call 'home'. After exposing brutal 'live baiting' with possums, piglets and rabbits in Australia's greyhound racing industry, we followed the money trail to China and Macau — where Aussie dogs are forced to race and win, or die. As you read this, there are gentle dogs like 'Alice' lining up to race in countries where there are no laws to protect them from cruelty. You can help spare more animals from suffering with a donation to our investigations unit today. You can help give all animals the protection they deserve. 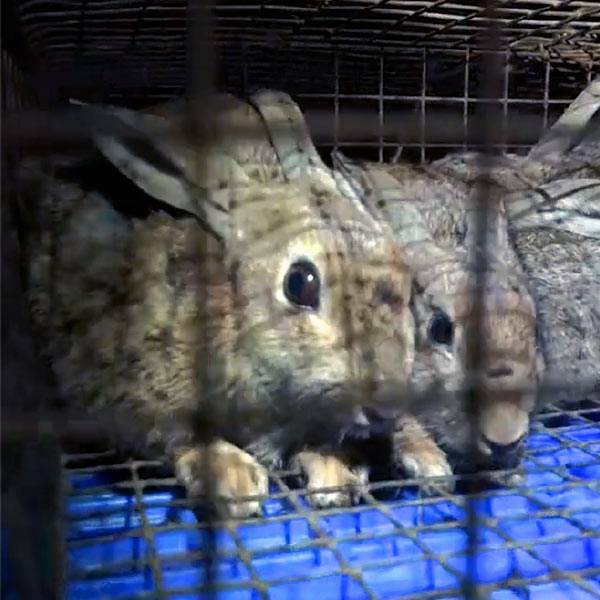 Evidence gathered by Animals Australia investigators exposed the shocking widespread practice of live baiting in NSW and VIC for the first time — leading to police raids, cruelty charges, animal seizures, industry reform and government inquiries. Countless small animals have since been spared from the horror of being used as ‘live bait’ and the ruthless killing of thousands of healthy dogs every year has been labelled a national disgrace. But there's another dark side to this industry — as our world-first investigations in China, Macau and Vietnam uncovered, Australia has exported greyhound racing cruelty to the world. In countries with no animal protection laws, Aussie dogs are running for their lives. In Macau alone, one dog is killed every day. Our investigations are the greatest threat to the continuation of this callous industry. Your support can keep caring eyes watching over animals and help prevent and end cruelty in all industries where animals are at risk. Why donate to Animals Australia? What’s more, you are part of a growing community of caring people who are driving real and lasting change for animals in Australia and beyond. Live export investigations in Egypt, Indonesia and other countries which have led to sweeping changes throughout the live export trade. 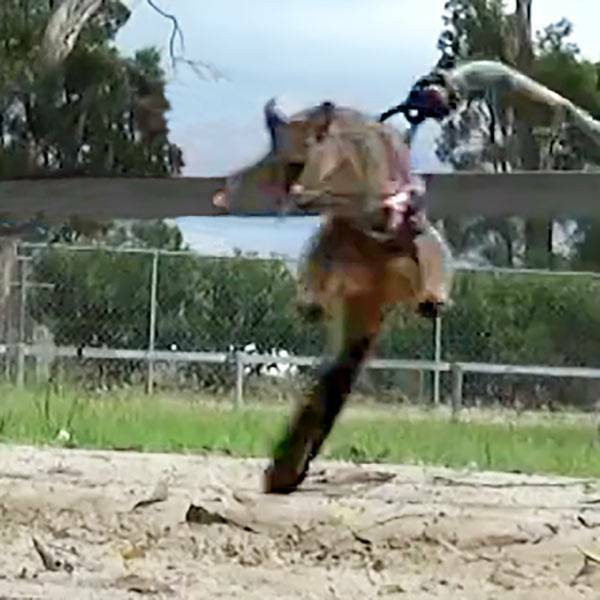 The exposure of horrific widespread live baiting cruelty in the Australian greyhound racing industry. Innovative campaigns that led to McDonald’s, Subway and major supermarkets phasing out cage eggs. This is just the beginning. With your support, we can achieve even more for animals in need.